We've all learned by now that apes are our closest living relatives in the animal kingdom, but you likely didn't know how close! We've created a list to show you exactly which animals are more like brothers, and which are only cousins on the evolutionary family tree. 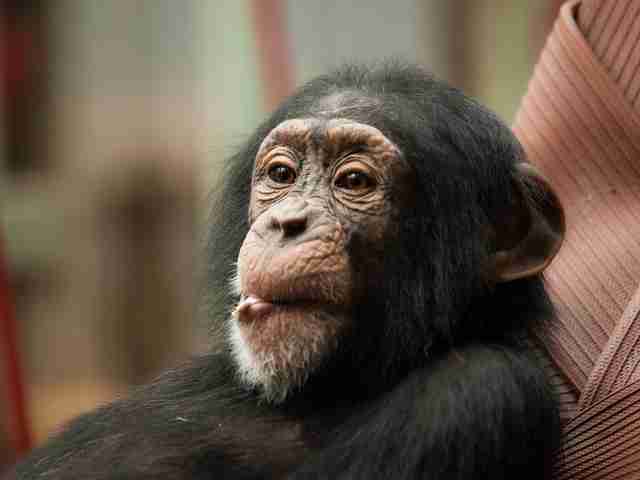 Researchers determined back in 2005 that chimpanzees share somewhere between 98.6 and 99 percent of our DNA. They're closer to humans than they are to gorillas! Remarkably, female chimps also share a reproductive cycle similar to that of humans, with most reaching sexual maturity just before or during their teenage years. They also have a gestation period for about 8 months. 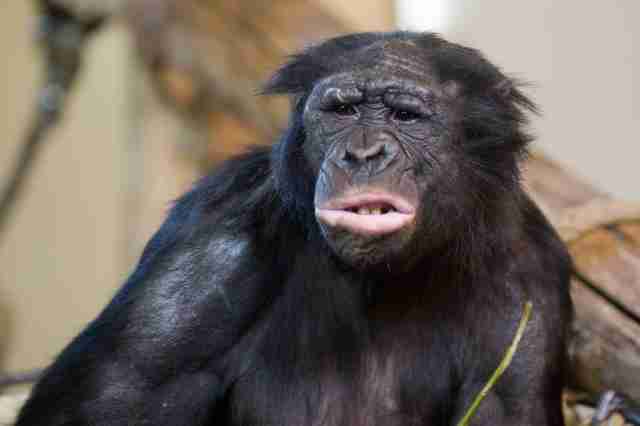 It wasn't until 2012 that we learned bonobos vary only slight from chimps. In fact, the two share 99.6 percent of their DNA. That means they're almost as close to humans on the genome sequence as chimpanzees are. Researchers believe the three of us separated on the evolutional path between 4 and 7 million years ago. Bonobos, the most emotional of all apes, regulate emotions the same way we do. Though appearances might suggest otherwise, we're also closer in relation to gorillas than gorillas are to chimps. We share 98 percent of our genetic sequence with these majestic fellas. 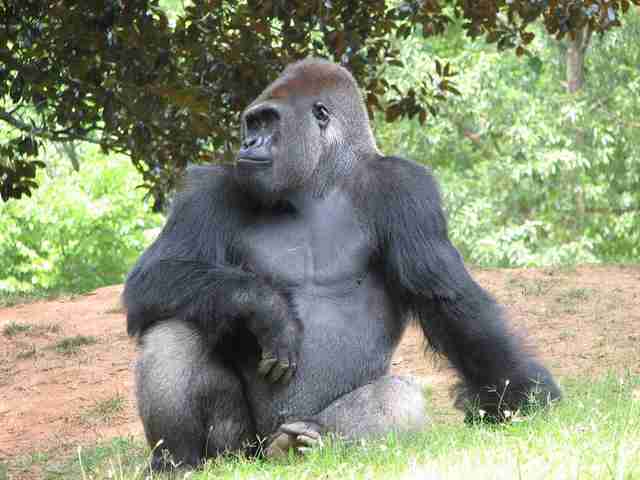 Scientists believe humans and our gorilla brethren diverged from a common ancestor around 10 million years ago. Fun fact: they also found that certain shared genes in our DNA cause diseases like dementia in humans, but not in gorillas. 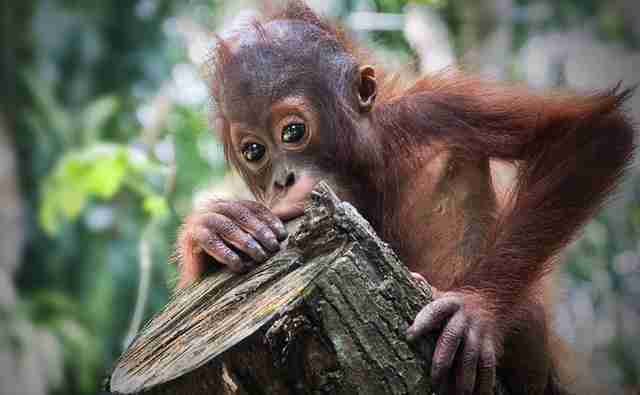 A little further down the family tree lie the loveable orangutans who share 97 percent of their DNA with humans. It turns out male orangutans like to offer effusive displays of "tough-guy" syndrome by leaping around and breaking things before a fight. It's classic "come at me, bro" showmanship. Much like humans males, we think. 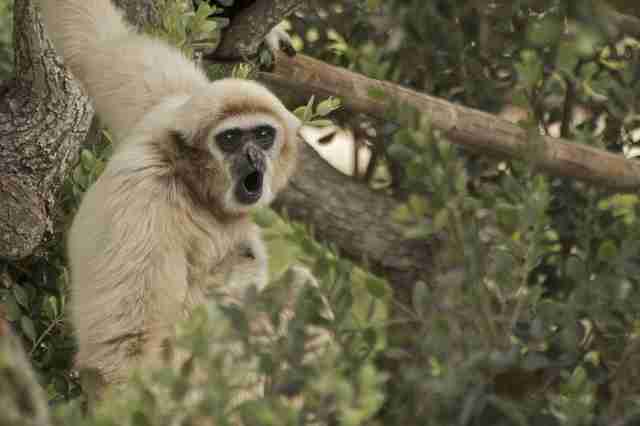 Gibbons, while belonging to the Hominoidea family like the apes featured above, are actually considered lesser apes. About 4 million years ago, these guys developed arms and shoulders that now allow them to swing through trees effortlessly. One fascinating study determined gibbons use at least 26 sounds resembling songs that the first humans used 1.8 million years ago. 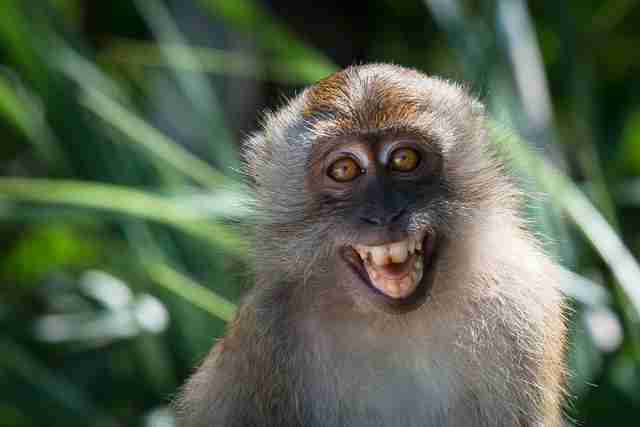 A large number of species fit the definition of monkey – over 260 at last count. Researchers found last year that many aspects of our brain that control our thought processes are similar to those of monkeys. In fact, some of the most similar regions include areas that cause OCD and substance abuse. 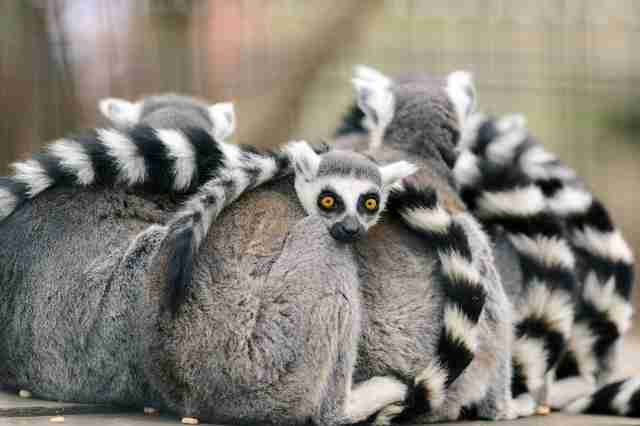 You might've heard these guys like to move it, move it, but did you also know they're primates just like us? Okay, not just like us exactly, but close enough that we likely evolved from the same ancestor, along with lorises and aye-ayes. 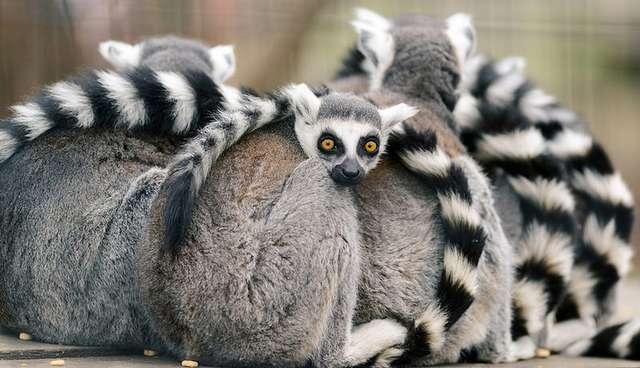 Unfortunately, more than 70 percent of all lemur species are currently endangered with humans being one of the biggest culprits in their demise. You probably thought dogs were a little closer on the evolutionary scale, since they're supposedly our best friends. It turns out that cats actually share 90 percent of our genes. They might have also purposely inserted themselves into our homes. Evidence suggests these guys self-domesticated over 10,000 years ago by helping farmers in order to get a little extra protection and food. 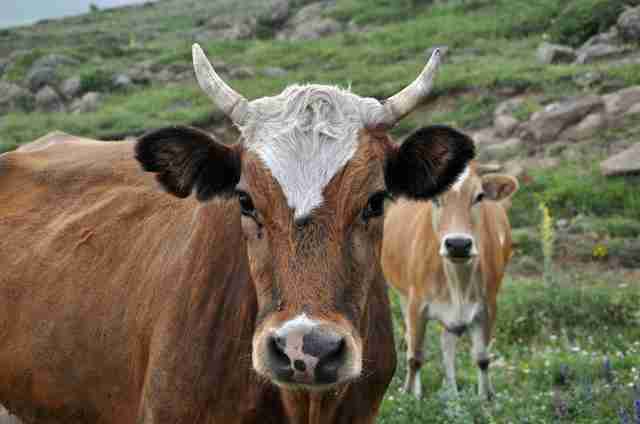 That's right, we're related to cows. Research has shown that we share more genomes with these beautiful, big girls than we do with rodents, even though we share a more recent ancestor with mice. They think it's because rodents and smaller animals in general reproduce more rapidly leading to faster evolution.